Fri., April 20, 2018, 7:26 p.m.
NEW YORK – Miami’s Justise Winslow has been fined $15,000 by the NBA for attempting to damage Philadelphia center Joel Embiid’s facemask during Game 3 of their playoff series. Winslow intentionally stepped on Embiid’s mask after it had fallen onto the court with 7:51 remaining in the second quarter of the 76ers’ 128-108 victory on Thursday night. The NBA cited Winslow for unsportsmanlike conduct in announcing the penalty Friday. 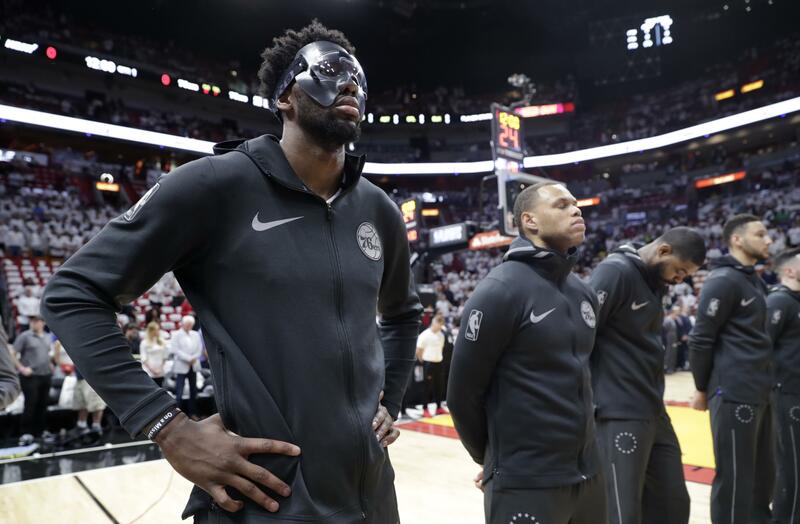 Embiid was wearing the mask for the first time after returning from a 10-game absence caused by a broken orbital bone around his left eye. Philadelphia leads the series 2-1. Game 4 is Saturday. Published: April 20, 2018, 7:26 p.m.